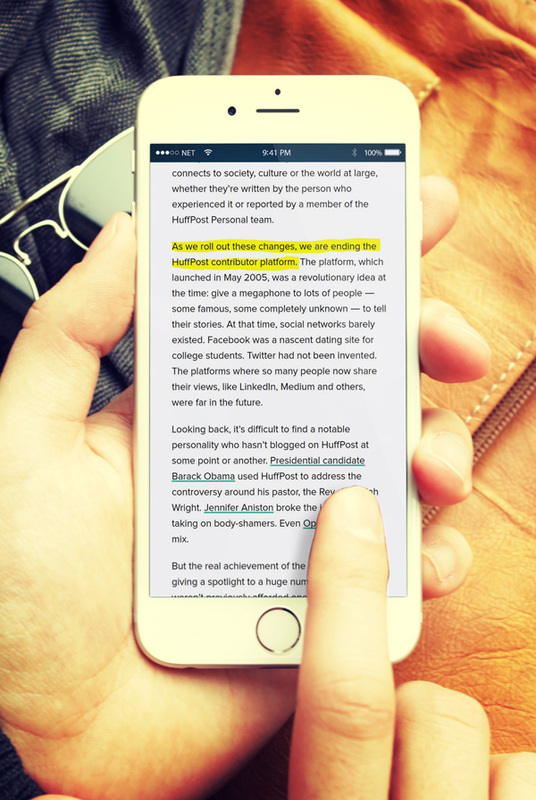 The Huffington Post has long been a place where writers could find a voice. The content was mostly unpaid, sourced from amateur journalists, celebrities, bloggers and budding writers. However, the Huffington Post announced this January that those days of unpaid contributor content are over. The change is due in part to the recent flood of uncorroborated “news” stories and misinformation through a variety of online publishing venues. This move, along with Facebook’s recent action to lessen the number of branded posts in newsfeeds, signals a change in the arena of content marketing. Clearly, the sheer volume of online content is less than impressive for consumers: It has become a turn-off, a counter-productive force instead of a beneficial one. How can content marketers cope with these changes? Discover some ways to interpret key performance indicators and streamline your content strategy to be more powerful in the online marketplace. A significant shift, like the one signaled by Facebook and HuffPost, is an opportunity to take your content marketing strategy back to the basics. You may have become so bogged down in churning out keyword-rich content pieces that you forgot what your company’s goals really are. What’s the overall vision or goal for your company? For your department? Write those goals down, both longterm and for 2018 specifically. Once you have the big picture in place, drill down to the measurable goals. How will you know when you’re succeeding with your content marketing? What do you want to accomplish? Your goals could look different depending on the product or service you offer, but they need to be measurable. You need to be able to look at the KPIs and see exactly how successful you have been in reaching your goal. When a user sees posts from businesses and brands in their Facebook newsfeed, how often does he convert to being a customer of those companies? How do you know if you actually converted someone to your product or service? Some content marketers define conversion as a click through to the website. Others call it “converting” when someone signs up for information or emails. For others, it may consist of a download or a sale. The definition of a conversion is really up to you, but you must have a concrete picture of what a conversion means for your business. You also need a way to track those conversions. You need analytics software built into your website and attached to your social media portals. A variety of martech tools can help you track clicks, downloads, signups, video views, and much more. You probably have some software or apps to help you with that, but now may be a good time to re-evaluate your martech solutions and ensure that they are working well for you. There may be another product that could help you track conversation rates much more effectively. Powerful analytics are key to proving that your content strategy is actually changing customer behavior, not just adding to the noise of the internet. If you don’t have a big budget for new analytics tools, check out these free options. Google Analytics: Google Analytics helps you determine how well your audience likes your content and how deeply they are engaged with your brand. You’ll receive key demographic information as well. 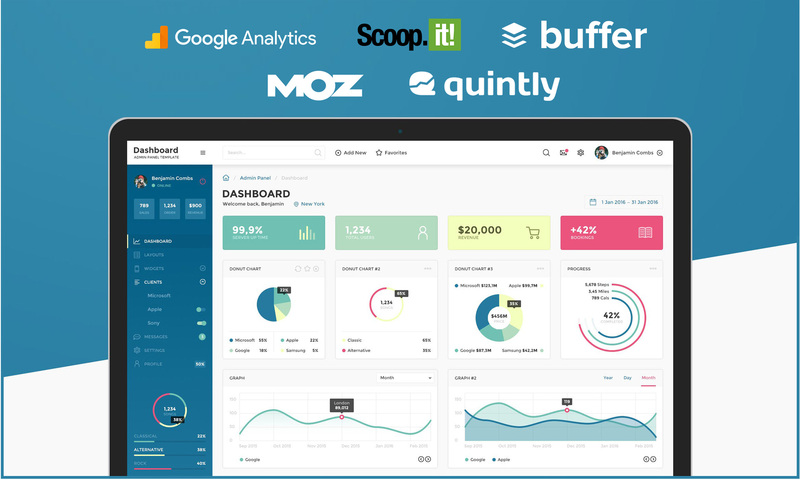 Buffer: The free plan through Buffer lets you see vital analytics for your social media outlets, including Google Plus, LinkedIn, Twitter and Facebook. Upgrade for deeper data and statistics so you have a better grasp of KPIs and your content marketing success. Scoop.it: As an individual user, you can leverage Scoop.it‘s abilities for free, although the business version requires a paid upgrade. This content ideas service plugs into major social network tools, such as Buffer, and allows for quick publishing and sharing of content. It also gathers intel on the visitors, comments, shares and views you receive each day. As if that weren’t enough, it interfaces with Google Analytics, too. Quintly is a streamlined analytics solution for Facebook users. It yields information on growth, trends and user interactions, all in an easy-to-read chart format, and all for free. Moz Followerwonk: If you use Twitter heavily in your content marketing, you should investigate the analytics available through Followerwonk. With this tool, you can analyze your own followers or those of your business rivals. Resulting data is revealed in helpful charts so you can leverage the metrics more easily. This service also provides intel on the best times to Tweet and the top hashtags to use. In addition to these options, investigate tools like Cyfe, BuzzSumo, Tweriod and others — all of which are either free or inexpensive and offer you insight into KPIs for your content marketing. According to Facebook CEO and co-founder Mark Zuckerberg, in his early January post, the updated policy is aimed at improving the “well-being” of users. While there will still be ads, there will be “less public content like posts from businesses, brands and media” — fewer articles and videos that users passively consume. People come to social media to communicate with friends and to make new connections. They feel that social networks enrich their lives. However, if an overabundance of ads and business-related content drowns out the important voices of friends and family members, users could lose interest in coming to Facebook at all. That’s the future that Zuckerberg is trying to avoid, and it’s one that content marketers don’t want either. When the rules change, it’s unnerving for marketers. But marketing has always been a volatile sea to navigate, with fresh currents constantly pulling customers in new directions. It’s ideal to be the one causing the new current; but even if you aren’t the driving force behind a marketing change, at least you can adapt to the new reality and ride that wave to success. The changes in editorial policies are meant to encourage meaningful connections, accurate news stories, true tales, and interesting conversations. For businesses, it’s an opportunity to ditch the click bait and develop rich content that people want to discuss and share.